lightharmony This was shot at Torridon, Scotland. We started the day being unlucky with heavy rain on the Isle of Skye hence decided to move out of there to look for something else. Initially, I'm not sure what it was as the overcast was all around us but soon after we spotted a hole in the sky kilometers ahead. We followed it and ended up in Torridon area few hours before sunset. 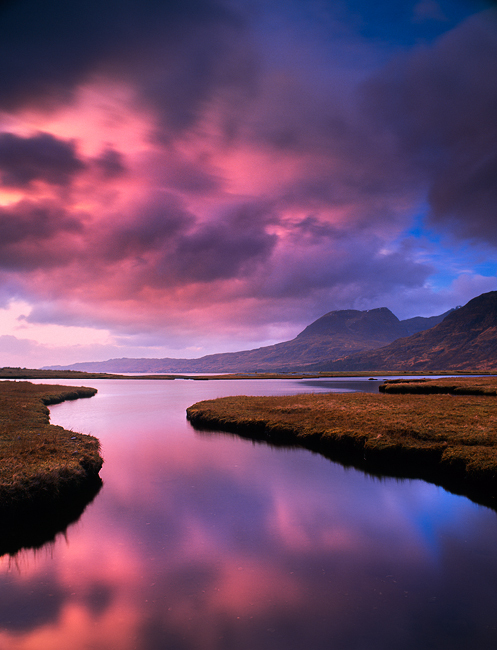 This was shot at Torridon, Scotland. We started the day being unlucky with heavy rain on the Isle of Skye hence decided to move out of there to look for something else. Initially, I'm not sure what it was as the overcast was all around us but soon after we spotted a hole in the sky kilometers ahead. We followed it and ended up in Torridon area few hours before sunset.